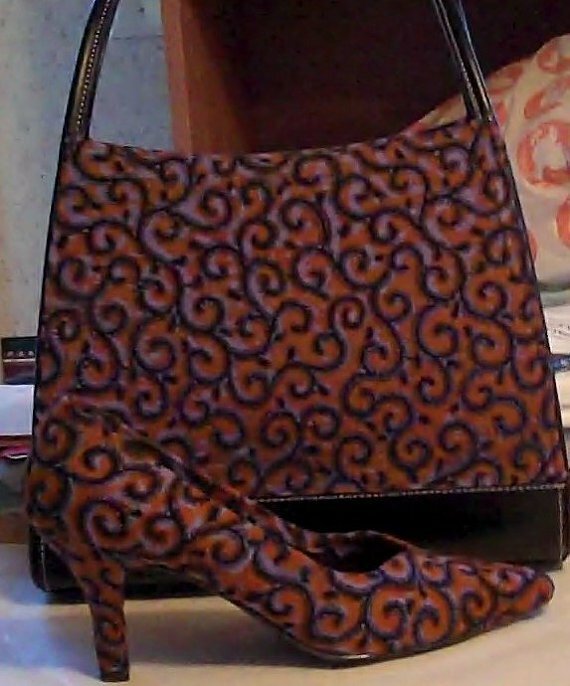 Beautiful African fabric - Ankara covered shoes and handbag /purse. Made with high quality material that does not fade. This item is customizable with more accessories like belt and head piece/head tie. Check my listing and choose your fabric. I still have this same fabric and more if you would like a new order. Fabric is 100% cotton. Price is different for more accessories added. Customized order will take two or more week. Let me know what you want. I got lots of compliments wearing this set. You'll love it. Ask any question prior to order. Thanks so much!